Last week Urban.com.au highlighted the growing number of residential projects being shelved in favour of commercial use, but there has also been a more recent trend towards aged care, with various developers shifting their residential focus in a bid to capitalise on the growing downsizer market. According to Mcrindle Research, 3.7 million Australians were aged 65 and over in 2016, a number that is set to double by 2057. In response to this developers are delivering residential and retirement hybrid projects designed to cater to those entering the retirement stage of life that want to retain their inner-city, amenity-rich lifestyle. The sector which is expected to boom over the next few years, is relatively unprecedented and presents a unique opportunity for developers to set themselves up as the market leaders in this sector. The Federal Government’s has also reacted by increasing its investment in the aged care sector, spending approximately $17 billion in the 16/17 financial year, of which 69 per cent went towards residential aged care. This has also seen the likes of EcoWorld International who recently launched its Lifestyle One service at their Yarra One project in South Yarra, which will provide residents with access to a range of services such as home maintenance, home cleaning, dry cleaning, massage, pet walking/grooming, and personal care. According to Marshall White Projects director Leonard Teplin, the last few months has seen an unprecedented number of developers seek to amend existing planning permits for independent living uses, both to navigate around the uncertain residential market and tap into the growing demand from the downsizer market. 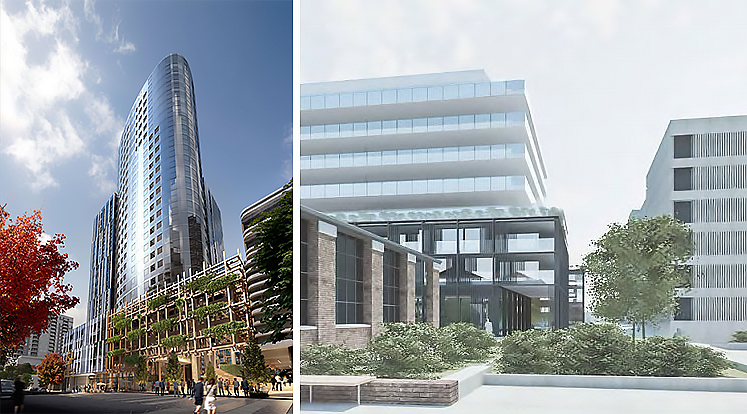 Earlier this year, we also reported on Lendlease's revised intentions for the GTV9 site in Richmond which would include aged care, retirement living and affordable housing with the developer engaging Catholic Healthcare Limited and Women's Housing Limited as the operators upon completion. It’s no secret the past few years have seen developers adjust their focus to downsizers and seen incredible success - independent living is the next step. Developers are seeing an opportunity to tap into this demand for over 55s, which is a market that’s emerged as a counter-cyclical sector to traditional apartments. Rather than sit on sites for the next market cycle they are seeking amendments to their existing permits so they can take advantage of this new trend. Australia’s over 65 population is growing at an exponential rate, as is the number of people moving into aged care, which has increased by 31 per cent in the past 10 years. Marshall White Living caters to those that are looking to downsize and find a home for life, but offers more freedom and flexibility than a traditional aged care environment. The Grace offers architectural excellence in a highly sought-after inner-city locale while each aspect of the design, including intuitive internal functionality and cutting-edge technology, has been created to offer optimal safety and comfort. These premium independent living environments enable our clients to enjoy life, immersed in a rich community of like-minded people. The increasing acceptance of apartment living among the older demographic has paved the way for retirement living to be repositioned as a modern vertical village, rather than the traditional horizontal-style village where residents are often isolated from their families in the outer suburbs. This new iteration, independent living, caters to a broader audience of downsizers who want the added levels of security, comfort and convenience of retirement living but still want to live in the inner suburbs where they’ve spent most of their lives. Developers can make some easy-to-implement changes in the planning process of their projects to make them adaptable to cater to this buyer, and consequently find themselves filling a big gap in the market. It’s relatively unprecedented at the moment, which leaves a unique opportunity for developers to get their product out there first and win big. Developers that do this now will set themselves up to be the market leaders in Australia’s fastest-growing development sector. With residential house prices rising at alarming rates, independent living is a wise financial solution for the over 65s. Typically it allows residents to enter the complex at 70 per cent of the existing median house price in the same location, which gives them the opportunity to sell their house and access significant equity in their homes to assist in enjoying their retirement years. Independent living also offers significantly more amenities and lifestyle luxuries than standard residential, such as a clubhouse where residents can host group events, billiard rooms, communal gardens, library, etc. On site management provides an additional layer of security and assistance with collecting deliveries, arranging events and helping with tasks related to their home. The combination of a strong demographic shift towards this buyer, the affordability of the product and the lack of supply make this sector extremely attractive to developers.